The American Metalcraft SSB200 mixing bowl has a 2-quart capacity. 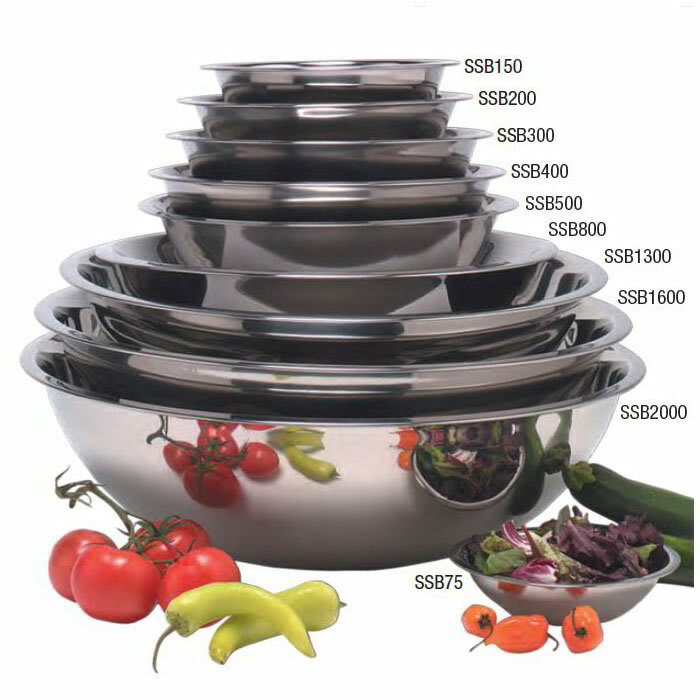 With its stainless steel construction, this dish is easy to clean and heavy duty. The American Metalcraft SSB200 mixing bowl features a rim to help minimize spills.